From Newbury Street to Paris to New York Fashion Week, Master Stylist Debora Lunt brings years of experience from some of the most revered corners of the beauty and fashion industries. Since her entry into hair dressing at the early age of thirteen, she has built an impeccable reputation for creativity and mastery of American and French techniques for cut and design. Her talents lie not only in the techniques she uses to cut and color hair, but in the process and time she takes to understand your hair and personality to achieve the perfect, personalized style for you. 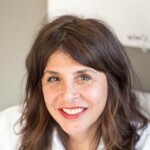 She has worked as a colorist in Newbury Street before bringing that experience to her own salon on the North Shore. Debora often trains in New York City (Harry Josh, DCI) and has made frequent visits to Jacques Dessange and the Rene Furterer Institute in Paris. For the past several years, Debora has been invited to style at New York Fashion Week with Rene Furterer’s backstage team, working on shows such as J. Mendel, Brooks Brothers, Costello Taglipietra, Orley and Ji Oh. She has also styled for Miami Swim Week and New York Bridal Fashion Week. 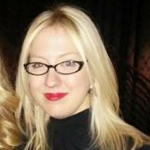 Sarah Babcock is a senior stylist at DL Hairbar with over 16 years of experience in the hair industry and adept knowledge of precision cutting, color, highlighting and formal event styling. Sarah has been a certified educator-in-training for Eufora International, assisting in teaching advanced cutting classes for stylists. She attends regular continuing education classes in Boston and NYC and has styled backstage for DL Hairbar with Debora at New York Fashion Week. Sarah is especially passionate about updos and styling for weddings and other formal events. Her great listening skills target your needs, wants and vision, and her technical ability makes that vision a reality. In her free time, Sarah’s creativity knows no bounds, and she uses this to style dramatic hair for theater productions, parties, and Halloween events. You should see her famous Bride of Frankenstein ‘do!